For many, location restrictions are the primary reason a CCW isn’t equipped out in public at all times. However, some demographics just do not want to carry a lethal weapon, which is acceptable. Not everyone is able to handle that responsibility, nor wants to. No matter the reason, here’s a basic answer for what to carry when a gun owner can’t carry concealed: their wits. Aside from everyday carry items like pepper spray and tactical knives, which are mentioned below, a well-trained mind will be able to outmaneuver danger through situational awareness and a defensive mindset. Humanity’s most dangerous weapon is right between their ears. Situational awareness is understanding, perceiving and acting within a given environment to be fully aware of any surrounding entities that may pose a threat to the individual. The practice allows for an optimal response in the face of danger. Situational awareness was something Jeff Cooper, a gun safety expert and former marine, expanded on in his color code, which classified four areas of awareness by color: white, yellow, orange and red. White is classified as being unprepared for self defense. Yellow means being aware of surroundings in a way that positions one to understand most of what’s happening in a given environment. Orange is when a threat is determined and focused upon, so that one may appropriately react when the need arises. Red is the state when the threat shifts to being a target, and while the target isn’t immediately engaged or dispatched, the individual is able to either engage it or retreat to an area of tactical advantage. According to the color code, those in public should be in the “yellow” state. Situational awareness will only get one so far. A defensive mindset will amplify situational awareness by preparing one to think about where they will be in the future, how they might defend themselves given the restrictions at hand and the level of danger they may be facing at all times after any decision is made. The crux of a defensive mindset is how it prepares one to handle a dangerous scenario, not just identify it. This is developed through training, preparation and understanding of the self-defense tools available. There is no definite answer as to which self defense tools are the best answer for any one group of people. Different people prefer different things. Pepper spray: According to a paper on the effects of pepper spray on personal health, the amount of oleoresin capsicum, the foundation and burning agent in pepper spray, will differ among separate brands, often varying in strength by up to 30-fold. A compound derived from pepper and measured in Scoville units, it affects the respiratory system, the eyes and even has gastrointestinal effects. It damages the outer layer of the eye and causes, in the most basic of descriptions, pain to that which it comes in contact with. If a habanero pepper is around 350,000 Scoville units, pepper spray can be measured at anywhere between 2 million and 5.3 million Scoville units, according to one study. Lightweight, easily hidden and fairly affordable, pepper spray is a decent option. 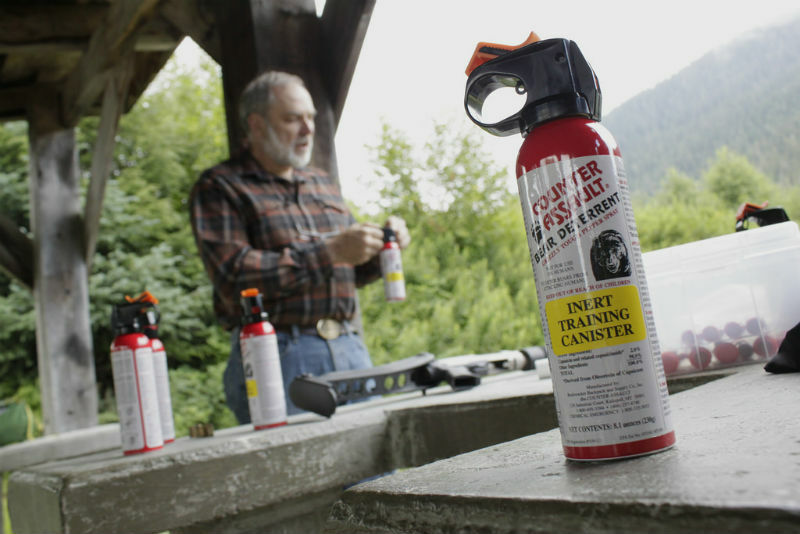 Cans of pepper spray come in different forms, like those that eject a stream of the spray as opposed to others that emit mist. 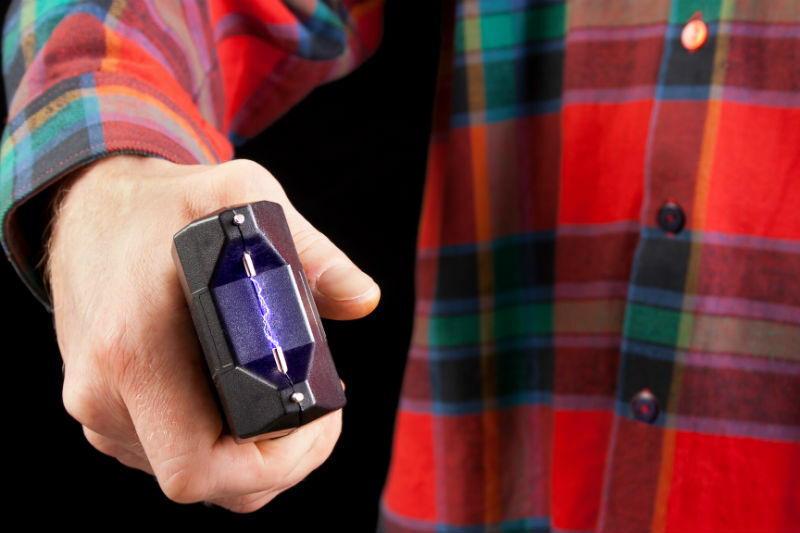 Stun guns: There is a difference between stun guns and Tasers. The stun gun has two metal rods conducting electricity, which must make direct contact with the body, whereas Tasers fire two prongs at a distance that conduct electricity. With an incoming electrical signal that confuses the body’s nerves and basically temporarily paralyzes the attacker, it’s an effective tool to replace a firearm. Tasers: Taser devices fire two prongs within a range of 15 feet. Often, Tasers, which come in different types and models, like the X26 model will typically emit about 50,000 volts initially, but upon contact will generally deliver a significantly lower number. Muscles contract and the body will be immobile for a short period of time. Collapsible batons: These offer an extended reach when striking an attacker. Made of durable polymers or metal and hidden within a concealable handle, these batons may be extended to be about 16-30 inches, with some variability. The right size baton depends on strength, experience and training. Some batons come in the form of expandable flashlights, offering even more utility. 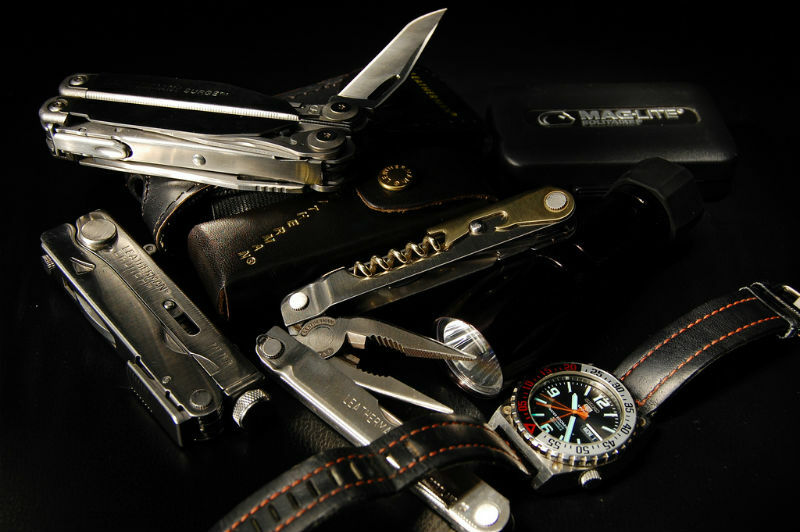 Tactical knives, pens and flashlights: Just about anything can be tactical. A bedside lamp can become a tactical lamp when hurled at an enemy. That same logic, in a much less flippant way, is applied to tactical pens. Several different manufacturers make a device that can be used as both a pen and a tool to puncture in self defense. Tactical knives are often folded and must be extended when intended to be used. The blades come in different lengths and they often serve as utilitarian tools as much as defense tools. They can be fixed or folded, meaning the fixed models come in a sheath and the folded have a locking mechanism that engages when the knife is unfolded from inside the handle. Some argue fixed blade knives are much better to be used in self-defense because a folding knife’s lock is not always going to hold under extreme pressure. Take that as you will. Tactical flashlights, although not the first option for self defense, can be used as a disorienting tool for temporarily blinding threats at night. The higher the lumens of light output a flashlight has, the brighter it will be. Hand to hand: Fists. Knuckles. These tools are as old as the human race and can be trained to ward off attackers. A self-defense class will provide years of use for those that take the time to learn. Additionally, some will be less legal than others. Firearm regulations are a matter of importance, debate and disagreement, but there are specific laws, too, for non-lethal weapons. Knives, which arguably don’t classify as “non-lethal” in most scenarios, have various laws surrounding blade type, length, ownership and carrying. Bowie knives, dirk knives and daggers are examples of regulated knives. Common pocket knives are generally unrestricted when their total length is limited. Kansas sets four inches as the total length a blade can be before it classifies as a dangerous weapon, according to their public laws. According to Arizona laws, knives are not specifically enumerated under “dangerous weapons” and local governments cannot regulate them. The Nebraska Supreme Court sets the state’s limit on knife length as 3.5 inches, according to recent reports. Anything longer is a dangerous weapon that’s classified under concealed weapons laws. The report mentions that even filet knives in tackle boxes, and other similar knives, are classified under this law. Intent with the weapon also matters. In North Dakota, stun guns and pepper spray are not defined as dangerous weapons and therefore do not need a concealed weapons license, according to North Dakota Attorney General Wayne Stenehjem. Connecticut law regulates stun guns, police batons, nightsticks, knives over four inches in length and other similar weapons, with certain exceptions and allowances. 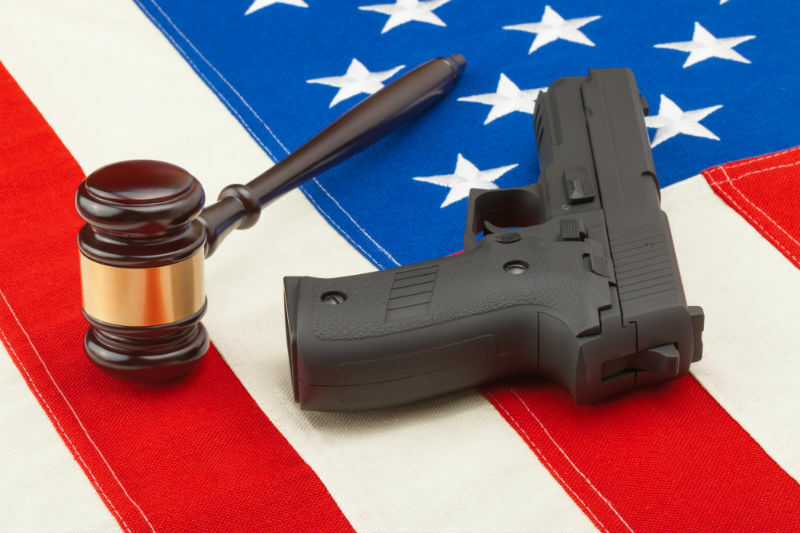 Those seem like randomly chosen states and randomly chosen laws, but they serve a poignant example: state laws differ with all types of weapons, not just firearms. Understand the applicable legislation before carrying any type of weapon. Given that certain locations — hospitals, government buildings, prisons, courtrooms, secured areas of airports, businesses, places of worship, bars, etc. — may prohibit firearms, they may also have other provisions on non-lethal weapons, just as much as states have laws on the type of non-lethal weapon used and what its intended use is. Basically, understand the legal precautions, personal utility and ultimate efficacy of what you’re carrying, where you’re carrying and why you’re carrying it.